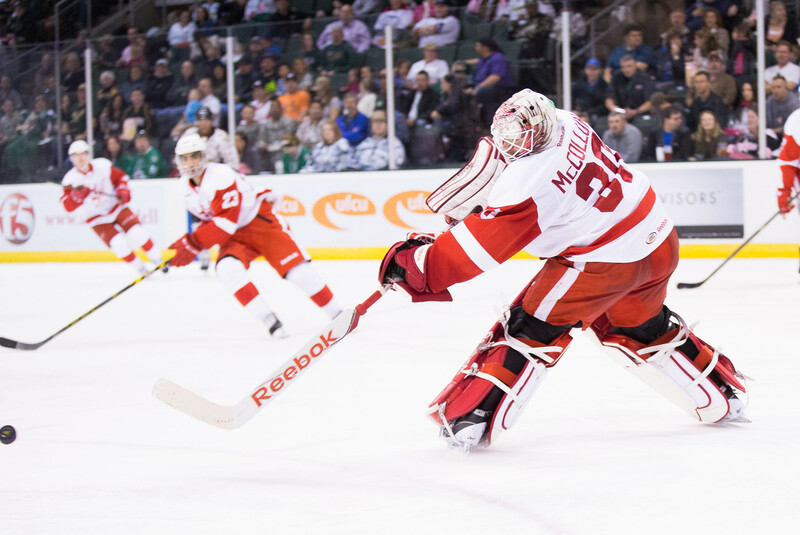 Coming off yesterday's tough loss to Chicago, Texas rolls into Grand Rapids to face the hottest team in the AHL. The Griffins lost their head coach to the NHL club over the summer and found one of the best possible replacements: Todd Nelson. Nelson and his OKC Barons played a million games against the Texas Stars over the past five years as basically the only head coach the team ever knew. Nelson went to Edmonton at the end of the last year, but then wasn't made the head coach after the season was over. He left for Grand Rapids, where he had coached once before as an assistant, and it looked like everything was going to be amazing for the Griffs. As the season started, it just wasn't clicking. I mean, not at all. GRG won just one of its first eight games. By mid-November, they were 2-8-0-1 with no end in sight. They were allowing too many goals (four or more in their first 11) and scoring too few (zero or one in six of their first 11). Then... something clicked. A 3-2 win against Rockford put them on a trajectory to compile the best winning streak in the league this season. Coming into tonight's game, the Griffins have won 12 straight. They've scored 3 or more in all but one of those games. They allowed just one or zero goals in seven of those. So, Nelson works his magic again. He has a potent offensive club. Andy Miele returned for another season after last year's torrid campaign. Eri Tangradi joined the West from WBS and leads the team in scoring. Prospects Anthony Mantha and Andreas Athanasiou round out the top four scorers. Rookie D Robbie Russo is sixth with 2-11=13. Jared Coreau is the main man in net this season just on the balance of his win total. Coreau's 10-2-1 mark stands over Tom McCollum's 4-6-0 total. However, their save percentages are not far off (.934 and .924) so both are fairing well, especially since mid-November. Items to watch here include the loss of previously mentioned leading scorer Eric Tangradi. He was suspended three games for an illegal check to the head. He'll miss both games against Texas. Grand Rapids already played a game without him and handled the Lake Erie by a 3-2 score.